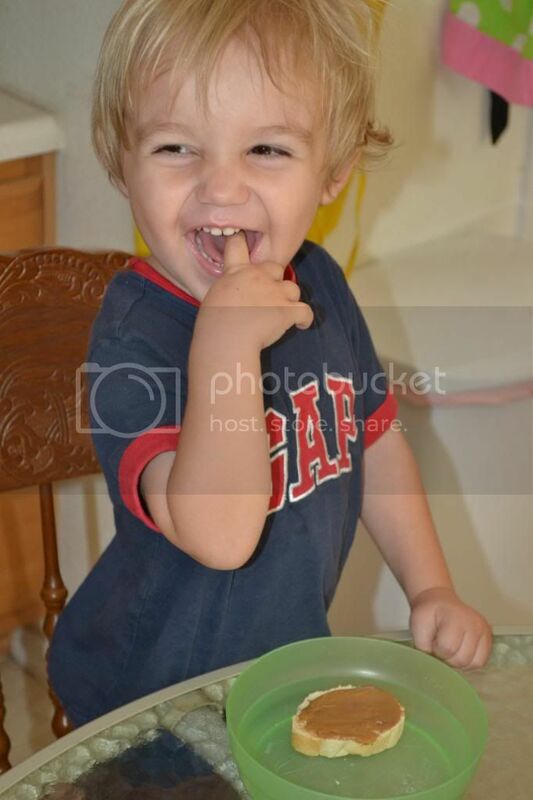 A peanut sat on a railroad track, his heart was all a-flutter, down the track came number ten, choo-choo, peanut butter! It's back to school time and that means back to PB and J's. 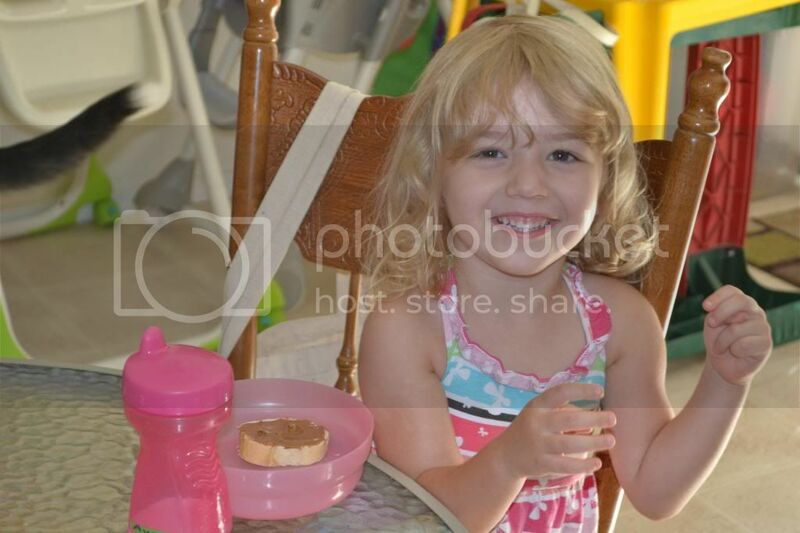 Mommy Moments with Abby's review of PB Crave: What is the most common staple to a lunchbox? It's probably the PB and J Sandwich. I'm not at the lunchbox stage of life yet, but running a daycare means a lot of Peanut Butter gets used. Sometimes it's for sandwiches for all the kids, or toast, or muffins, or on apples, or on celery, or on waffles, or even sometimes on pancakes. It's a great way to get some protein in the kiddo's or just get them to eat something healthy. But after a while the kids want a new taste and that leaves me having to get creative. Sometimes my brain needs a creative break and it helps to have a simple way to change things up. 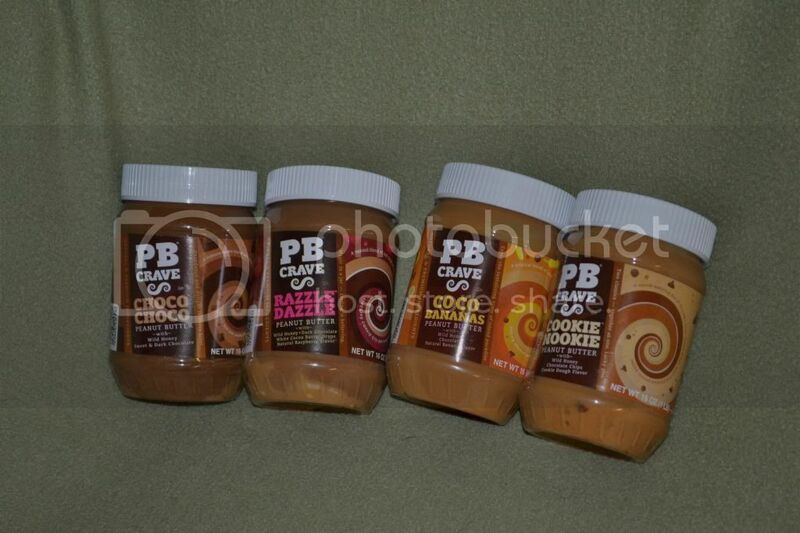 We tested out some of the PB Crave Flavors. At first the kids were suspect. Why is mom taking pics of us eating out peanut butter toast? Can't get anything by these kids! They asked and I told them they were sampling new peanut butter flavors. They were cracking up over the Cookie Nookie name! Then, they put it too the test. It was cracking me up that they actually took their fingers and put them in to taste the peanut butter. 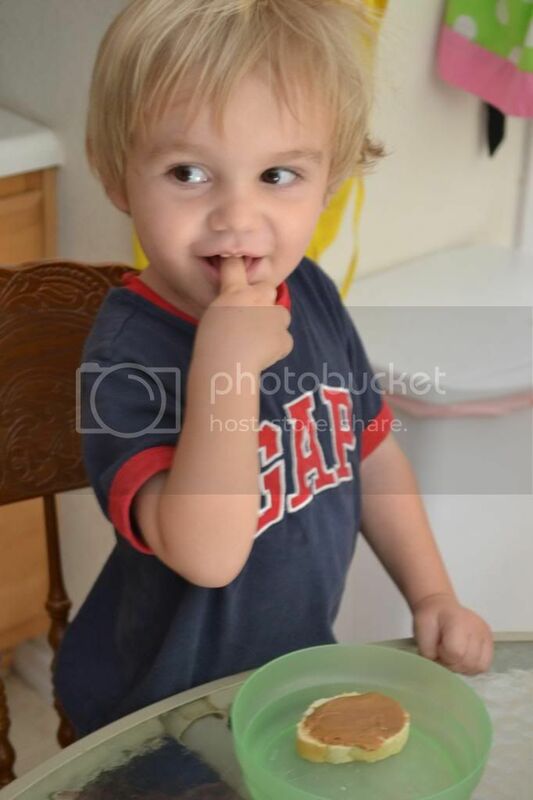 After some slip smacking and a few finger samples, my son dug in covering his mouth with peanut butter too busy to ask my questions if it tasted good. My daughter tried to say she liked the Cookie Nookie, but kept cracking up. She would say Cookie Nookie and laugh over and over again. After a good amount of laughs and more finger licks of the Peanut Butter she was able to give her verdict. 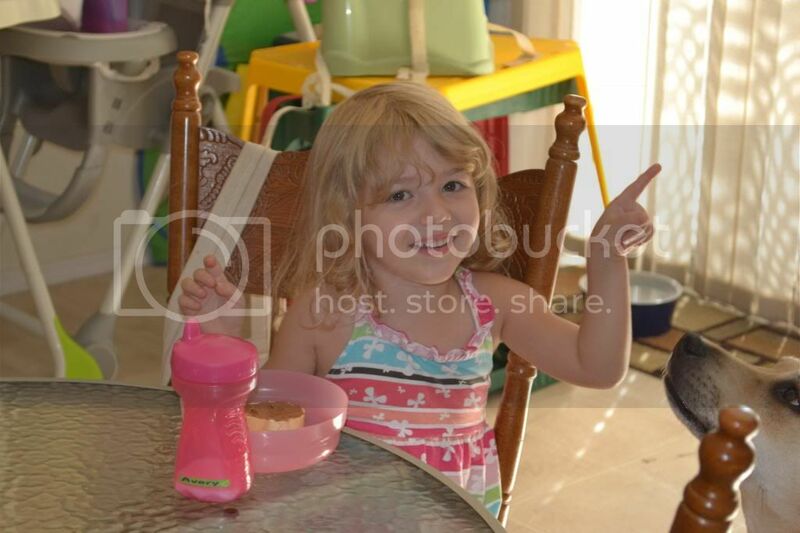 Her advice is that she likes to eat Cookie Nookie off of this finger because it tastes good and sounds funny! We ended up not just having a good snack, but a fun afternoon. We definitely approve of the PB Crave flavors to add some fun and nutrition to your snacks and meals! It is natural peanut butter so remember to refrigerate! PB Crave offers four mouthwatering, natural peanut butter blends—each mixing many of your favorite flavors with premium natural peanut butter—for a new twist on an old classic. Razzle Dazzle, Cookie Nookie, CoCo Banana, and Choco Choco. This peanut butter is artisan-crafted using high-quality ingredients and proven practices. Enjoy the new twisted taste sensation that gives you more of the mouthwatering flavors you crave—without the stuff you don't. PB Crave is different — because we’re actually making a difference. Our goal is to help save the lives of 2 million children. A minimum of 2% of the profits from every jar of PB Crave peanut butter goes directly to Project Peanut Butter, a non-profit organization focused on treating malnourished children. In addition, we are creating awareness so others will give to Project Peanut Butter directly. Around the world, malnutrition is the leading cause of death for children under five. It doesn’t have to be — Join PB Crave and help change the world.